Although prophecy has always been of great interest to most Christians, many Christians have been turned away from the study of prophecy because of the fanciful misinterpretations of prophecy being given by many Bible expositors in these last days of the church age. But we should turn back to the study of prophecy with renewed interest for prophecy occupies a major part of the Scriptures, no part of which are we to reject, and because prophecy enables us to prepare for the future, of which we will be a part. 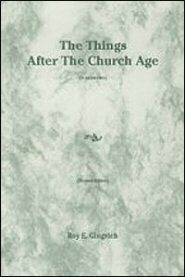 Although this outline study of last-day events is a valuable work in and of itself, it is also an excellent prerequisite to any more lengthy study of Eschatology. It is a valuable tool for the professional Bible scholar or for the lay teacher.